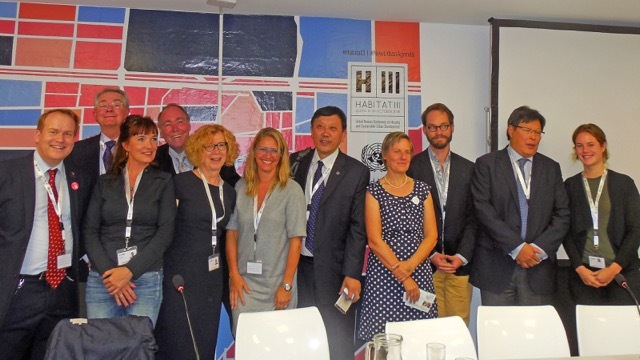 ISOCARP Side Event workshop at Habitat 3 in Quito with the participation of leading global non-profit organisations. The event showcased a wide range of information and communications technology (ICT) projects relevant to city planning and management in both developed and developing countries. This event also provided networking for cities to share urban planning strategies connected with ICT to become more sustainable, resilient and regenerative. The main theme was the relationship between ‘Smart Cities’ and the New Urban Agenda with particular emphasis on the “Urban and Spatial Planning and Design” Issue Paper. Implementation of the New Urban Agenda will be strengthened, and- in some instances – dependent on ICT that is integrated with urban equity and poverty eradication; sustainable and inclusive urban prosperity and opportunities for all; and ecological and resilient cities. 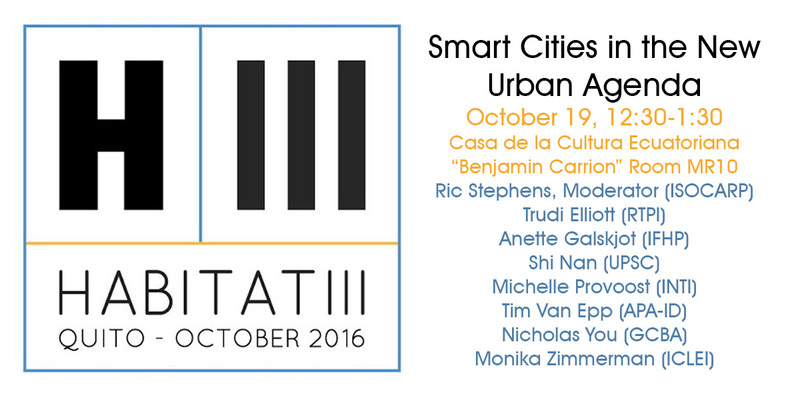 Planning and managing urban spatial development will require innovative ICT approaches and tools. ISOCARP was featured at the Habitat 3 Exhibition (Area F, Booth 155) at the Global Planners Network GPN´s area.